The 1000 sq. 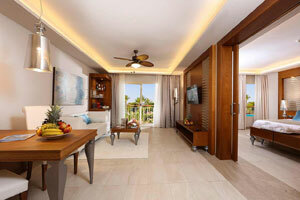 ft. One Bedroom Suites with a jetted tub at Majestic Mirage Punta Cana accommodate up to 4 people. 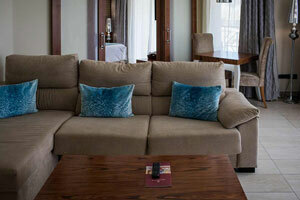 These rooms have a lounge separate from the main bedroom, a bathtub and 1 king-size or 2 queen-size beds. They feature an outdoor jacuzzi and a view of the pool. Located on the 4th floor, the 1000 sq. 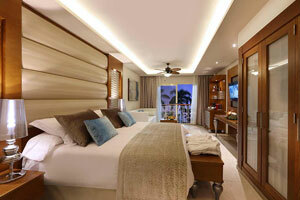 ft. Family Club Sky View Suites (Roof Top with an jetted tub) at Majestic Mirage Punta Cana accommodate up to 2 people. 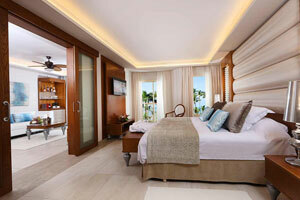 These rooms have two floors: a top floor with a terrace and outdoor jacuzzi and a bedroom with a king-size bed. 24/7 room service. The 1000 sq. 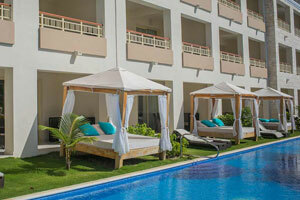 ft. Family Club Swim Up Suites (Outdoor Jacuzzi) at Majestic Mirage Punta Cana accommodate up to 4 guests. These rooms are located on the first floor to ground floor and are equipped with 1 king-size or 2 queen-size beds, a bathtub, an outdoor jacuzzi, and a private garden with direct access to the pool. The 1025 sq. 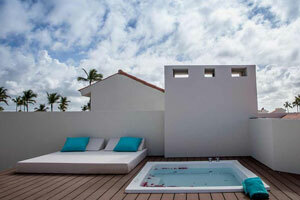 ft. Family Suites (Outdoor Jacuzzi) at Majestic Mirage Punta Cana accommodate up to 6 people and boast a view of the pool. 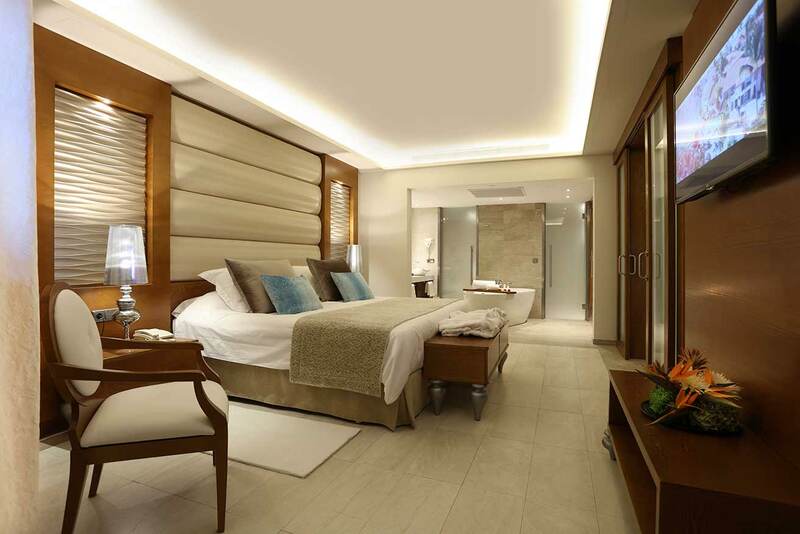 These rooms are equipped with two bathrooms, both with a shower, a bedroom with a king-size bed and a lounge with a sofa bed and 2 twin beds. 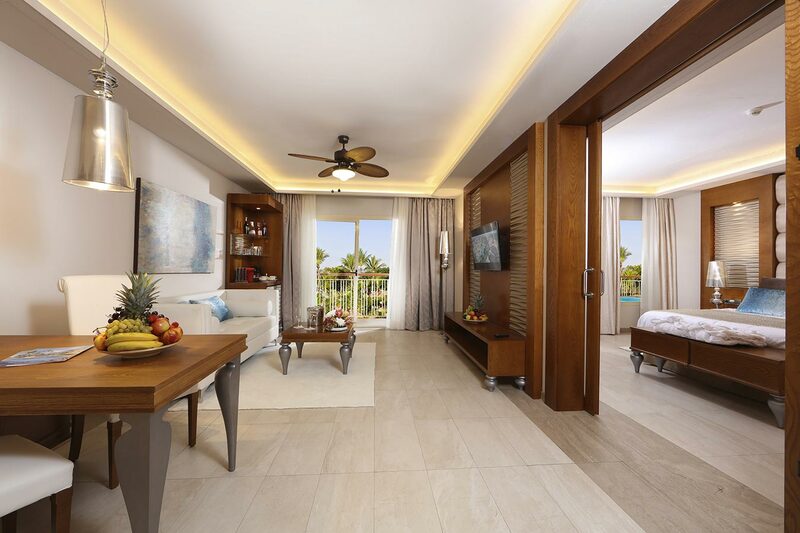 The Mirage Club One Bedroom Suites (Outdoor Jacuzzi) at Majestic Mirage Punta Cana feature a separate lounge and bedroom, 1 king-size or 2 queen-size beds, a bathtub and an outdoor jacuzzi. These rooms are 1000sq sq ft. in size and accommodate up to 4 adults. 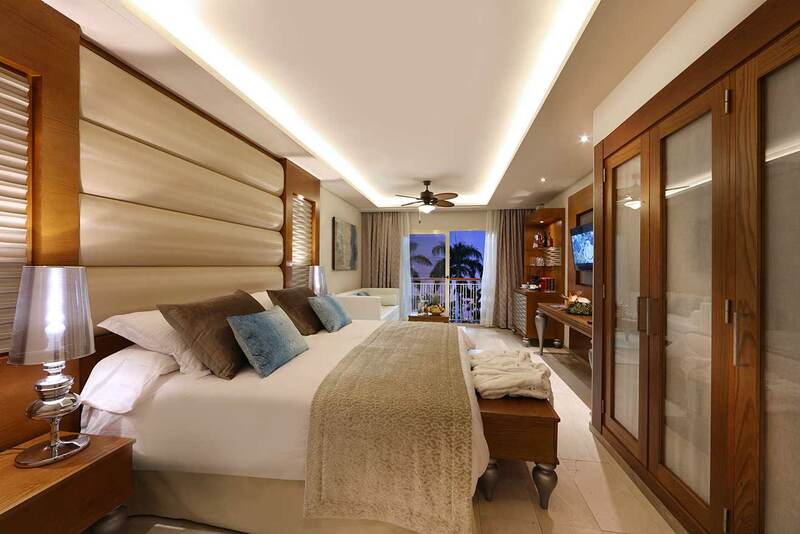 The Mirage Club Sky View Suites (Roof Top with an Outdoor Jacuzzi) at Majestic Mirage Punta Cana have two floors: an upper floor with a terrace and outdoor jacuzzi and a lower floor with a bedroom equipped with a king-size bed. These rooms accommodate up to 2 people and are 1000 sq. ft. in size. The 1000sq sq. 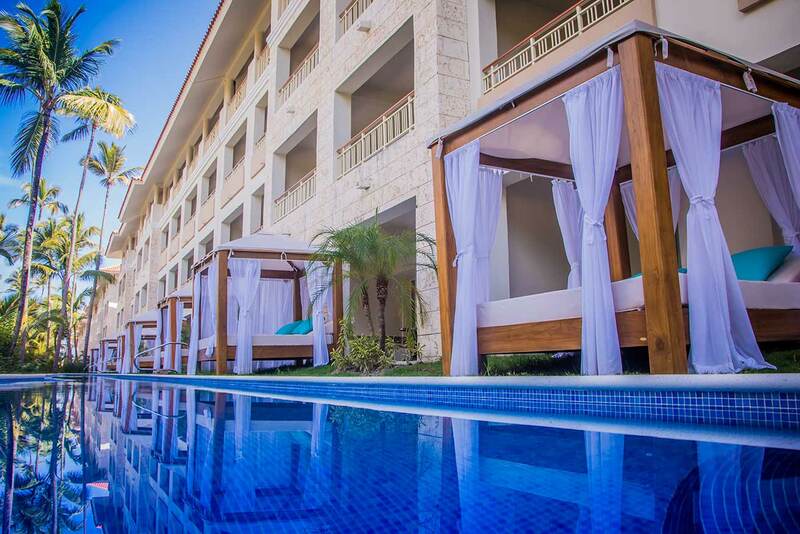 ft. Mirage Club Swim Up Suites (Outdoor Jacuzzi) at Majestic Mirage Punta Cana are located on the ground floor of the building and feature a terrace with a Jacuzzi and a private garden with direct access to the pool. 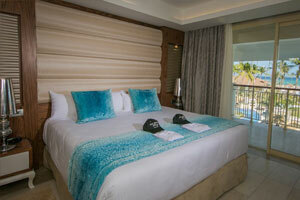 These rooms are equipped with 1 king-size or 2 queen-size beds and accommodate up to 4 adults. The 1000 sq.ft. 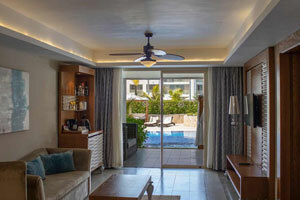 Mirage Club Ocean View Suites (Outdoor Jacuzzi) at Majestic Mirage Punta Cana are equipped with a king-size bed or 2 queen-size beds and have a separate lounge and bedroom. They are fitted with a bathtub, an outdoor jacuzzi and accommodate up to 4 adults.